photo credits to Pennington and Co. 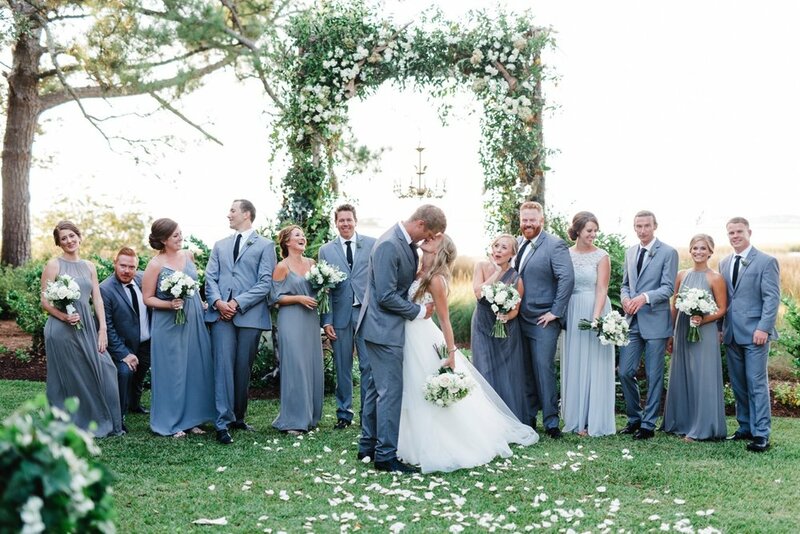 In Emerald Isle, North Carolina, The Watson House and Gardens stands as one of the most unique and breathtaking venues on the Crystal Coast. The special and personal touches that Creative Designer, Stephanie Watson, and her Dream Makers Team put into every wedding held at this waterfront venue is something a bride and groom will never forget. Family owned and opperated- the Watson's take great pride in the Watson House and the lush gardens that surround the home. This twenty year old estate is nestled on seven acres of picturesque, coastal waterfront and features lavish gardens throughout the property, making it a truly one-of-a-kind place to say “I Do”. 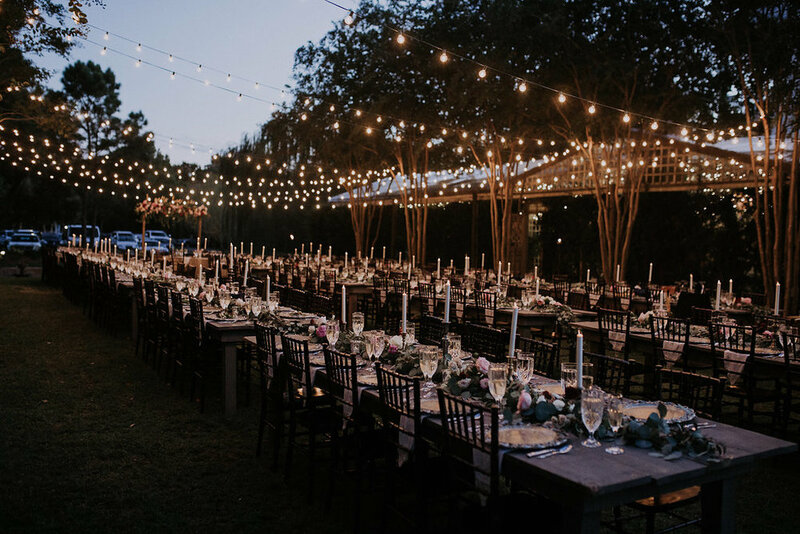 This waterfront venue in NC features abundant gardens, rustic fountains, horses in pasture, and panoramic coastal views of the Bogue sound that will surround you and your guests as you live out your wedding day dream. The Watson House vintage wedding garden venue will comfortably accommodate any bride’s design layout for their wedding details and allows you to host your ceremony, cocktail hour, and reception all in one location. This hidden gem on Emerald Isle’s Crystal Coast is also within walking distance to local beaches and offers many nearby accommodations for your guests. 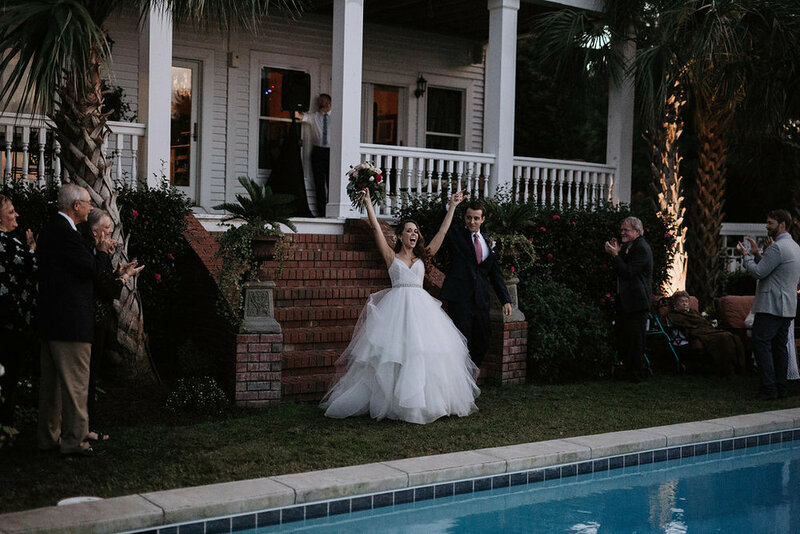 Let your dream wedding have the best of both worlds with waterfront views and Southern charm at The Watson House and Gardens. Landscaped pool area to the back of the house- perfect for cocktail hour!